New Delhi, July 19 (IANS) India will meet six-time champions Australia in the semi-finals of the women’s cricket World Cup at Derby’s Country Ground on Thursday. Statistically, India have been the underdogs in World Cup outings against the defending champions. However, of late, the Indians have held their nerves in crunch situations and have caused several upsets. In the 2009 World Cup, the Indians rattled home favourites Australia twice largely due to attacking shots square of the wicket. India’s first trump card is experienced opener Smriti Mandhana. If India have to play the final at Lords, the ambidexterous opener will have to do two things. Firstly, rejog her memory and replicate here efforts in the 2016 encounter against Australia in Hobart when she smashed 102 in 109 deliveries. She also has to forget her recent run of poor form and bat for an extended period. Secondly, it’s imperative for India to get their top five best batters in for the first 40 overs. Mandhana, Poonam Yadav, Mithali Raj, Harmanpreet Kaur and Deepti Sharma will have to preserve their wickets in order to cushion the pinch hitters. In the previous match, Veda Krishnamurthy was the game changer who smashed India into the last four stage. 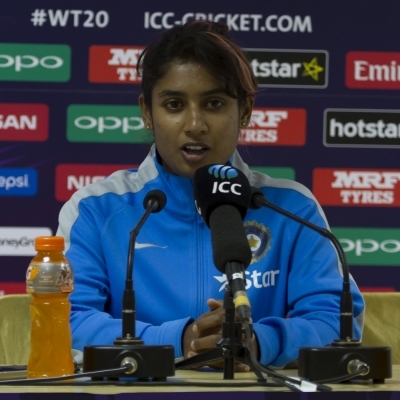 Mithali will have to concentrate on the leg side as the Aussies have in the last decade and a half purchased her wickets on the off side. She will have to hit across the line on the leg side and take off the pressure on her. Again, if India are batting first, the target should be in excess of 280. Anything less, the Kangaroo girls will hunt India down. Ekta Bisht has been the pick of the Indian bowling line-up till the Aussies and South Africa destroyed ransacked her bowling analysis of 123 runs in 19 overs. Rajeshwari Gaekwad, another left-arm spinner replaced her with aplomb with a dream World Cup debut with a five-wicket haul against the Kiwis. India coach Tushar Arothe is likely to consider playing two left-arm spinners in place of leg-spinner Poonam Yadav. Deepti Sharma and Harmanreet’s tight off breaks may prove difficult for the Aussies who have three left-handers in their line-up. Behind the wickets, Sushma has to pick a leaf out of England’s Sarah Taylor’s handywork in the first semi-final. Sarah’s quick stumping dismissed key South Africa batter Trisha Chetty and in the end that proved to be a major difference. The roars of the last match against New Zealand still reverberate in India’s most favourite hunting ground. India defeating one of the strong title contenders by 186 runs has transcended all the boundaries, leaving the rival teams in an awestruck situation. It’s a dramatic turnaround for a team at the seventh spot in last World Cup. Thursday could be a bit different. The situation is tough for both sides as Australia have lost only one of their eight matches in the league stage, going down to England, whereas India won five and lost two — against Australia and South Africa — in two back-to-back league matches. Australia’s Ellyse Perry has the second highest number of runs in the tournament with 366 from her seven matches while vice-captain Alex Blackwell is well versed with the Indian eves, having scored two centuries and six half centuries against them earlier in her career. Australia captain Meg Lanning would also be making a comeback after her shoulder injury. However, the biggest positive for India remains their eighth appearance in the World Cup semi-finals and will be determined to go past Australia and meet England at Lord’s on July 23 in the Women’s World Cup final.